US, (Daily Mail), 26 July 2018 - President Donald Trump says the United States will impose sanctions on NATO ally Turkey over a detained American pastor held on terror and espionage charges. ‘He is suffering greatly. This innocent man of faith should be released immediately!’ the president added from aboard Air Force One as he flew to Iowa for an event. 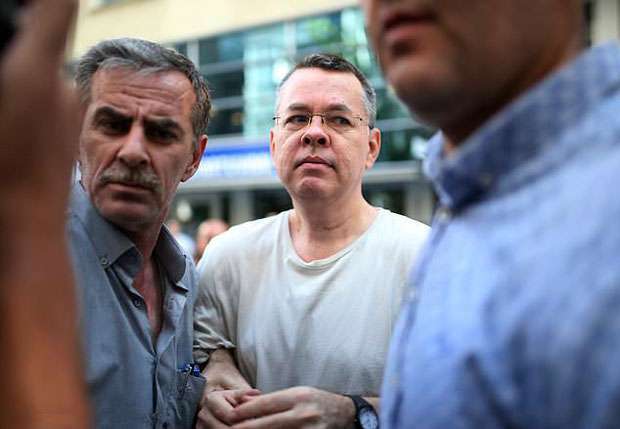 Brunson, 50, an evangelical Christian pastor originally from North Carolina, was let out of jail Wednesday, after 1 1/2 years, to serve house arrest because of ‘health problems,’ according to Turkey’s official Anadolu news agency.